A Hygeia representative visited me in my home one evening a few years ago. He enthusiastically told me about the history of Hygeia, the virtue of their breast pumps and why my clients would love them. I listened, skeptical as always, and gladly accepted some products to try out with the help of my clients. My “guinea pigs” who tested the Hygeia pumps for me gave a 100 percent positive response. I quickly sold and rented all that the Hygeia rep had given me. So….I ordered a few more and officially became a distributer. For about a year I carried around Hygeia and Medela breast pumps in my car. If a client wanted a pump, I brought both brands into her house and we talked about the various virtues of each. Every time I did this, the mom chose the Hygeia. Hmmmm. So, I made the switch. The ability to control the speed and the suction separately. A wide variety of options and price points for the same high-quality breast pump. The fact that the Hygeia breast pump can be safely shared simply by changing the filter. The pump kit from their old pump or a rental pump can be used with the Hygeia so that they have the option of buying only the pump and not spend more money on another kit. The transferrable warranty. Big news in the world of breast pumps. 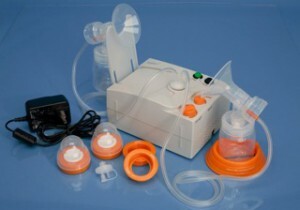 Hygeia is still a relative newcomer on the scene of breast pumps. This may have been the first time you’ve heard about them. You will not find them in big box stores. But you can find them on my website, and always, in my car! This entry was posted in Breast Pumps, Breastpumps, Insurance Reimbursement and tagged Advantages of Hygeia breast pumps, Hygeia breast pumps, medela breast pumps, Sharing breast pumps by reneeb. Bookmark the permalink. I got the Hygeia Enjoye with lithium battery. Love it! Controlling speed and suction strength separately really works well to simulate the way baby does, can’t imagine not having that ability in a pump! I also started doing breast massage and compression while pumping and have gotten greatly increased amount of pumped milk, which also has helped my supply (along with more sleep, eating better and herbal supplements to boost supply). Thank you Renee for all your great help! Renee, I’m new to the health education field and trying to learn. What WHO code are your referring to in this post about breast pumps? Jodi, thanks for writing! The World Health Organization Code for Marketing of Breast Milk Substitutes. It’s a mouthful! I chose the Ameda pump over Medela because it is my understanding the Ameda may also be safely passed on to other moms. Do you have experience with the Ameda? I have never heard of Hygeia and only recommend Ameda to my friends and clients. I’m wondering if I should switch? thank you Kristine. It’s good that you have found a pump that you like. I prefer Hygeia for all the reasons I’ve listed. the 3 -year warranty can’t be beat! I am still breast feeding my 10 month old but I want to start pumping so I can have more freedom…I used a Medela double electric and the most I could ever pump was 4 oz! I could pump the same with my single hand pump!? Everyone says Medela is the best! I also felt a lot of pain and discomfort while pumping. I ordered smaller sized breast shields, used creams like they ere going out of style and tried to just “tuff it out” while pumping but it became such a negative experience that I stopped! I don’t know for sure but I think I just can’t “pump and work”. Life would be easier if I could. So, is your pump genteel or different in that way? Hello Kirby, Thank you for writing. Many moms find the Hygeia more comfortable because they can control the speed and the vacuum separately. I hope things get easier for you!